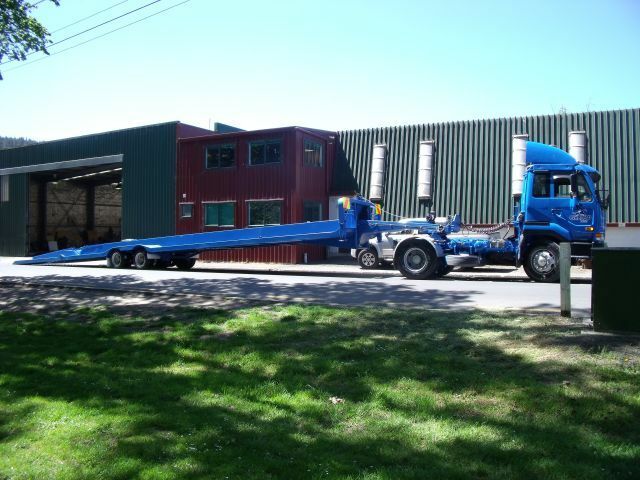 Two hydraulic rams tilt the trailer to the ground for easy loading. It also has an 18,000 lb winch to pull the extra long gates up the trailer. 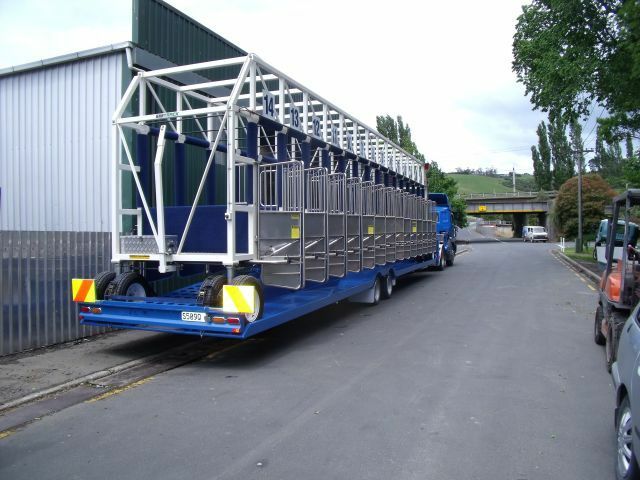 The rear ramp also has a hydraulic ram to fold it up when carrying the shorter gates or when traveling empty. 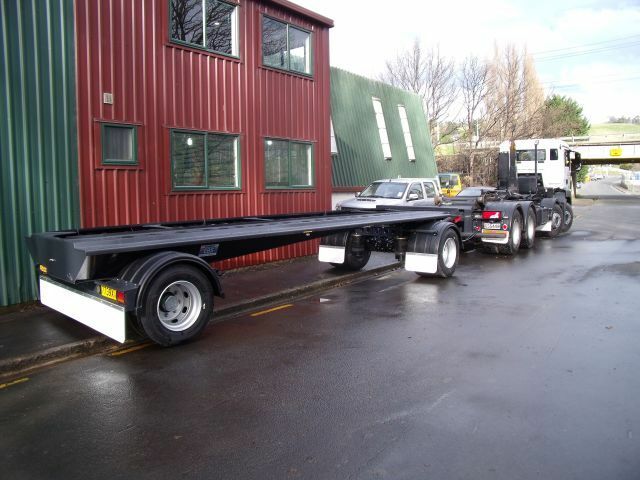 This trailer has a low tare weight, 3 ton! Which means greater load capacity! 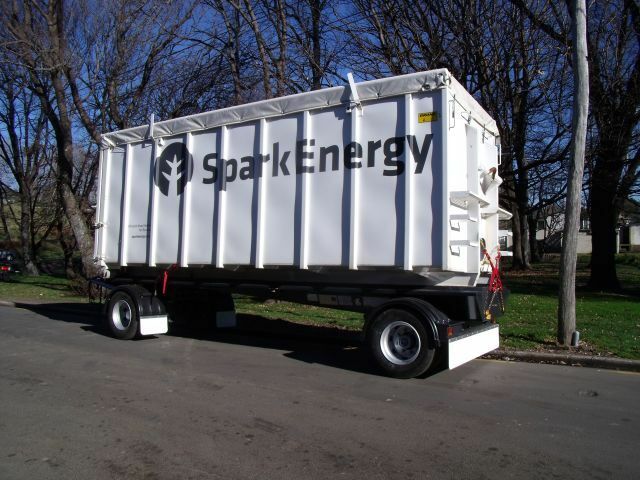 Easy loading, just roll one bin onto the trailer, hook lift the other bin onto the truck and your ready to go!